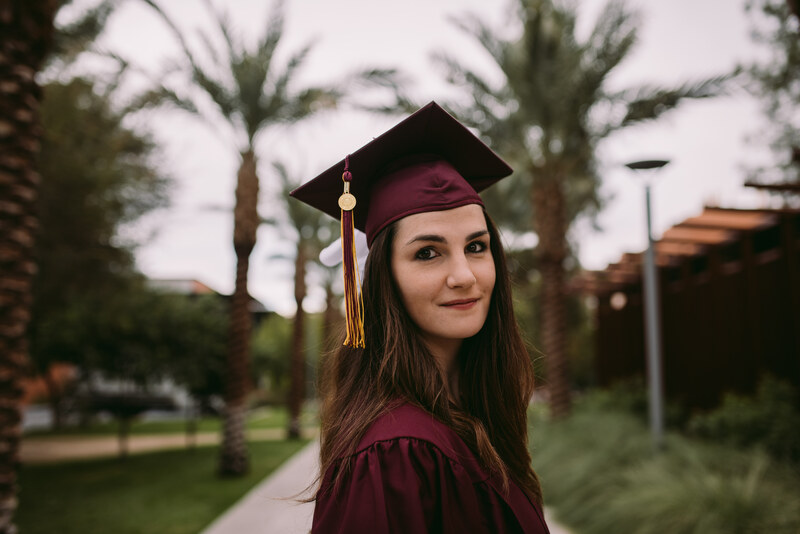 Eileen Naski graduated from Arizona State University with a bachelor’s degree in electrical engineering at the end of the fall 2018 semester — well over a decade after she had taken her first college courses. So, with the encouragement of her boss, a trusted mentor, Naski chose to go back to school about three years after dropping out of college. That decision began almost eight straight years of a “learning-on-the-fly lifestyle,” Naski said. Naski recalls some friends and co-workers saying, “Oh, electrical engineering, that’s a tough one,” when she told them what she was studying. “So I’m feeling pretty proud of getting that degree,” she said. “We were completely surprised by the unmet need out there. (The program) grew much bigger and faster than we anticipated,” said David Allee, associate director and professor in the School of Electrical, Computer and Energy Engineering, one of the six Fulton Schools. Many of the program’s students are older than typical undergraduates. “They have families. They have jobs. Some have careers and they want better jobs,” Allee said. While the online delivery of the program is especially attractive to working students, as many as 40 percent of the students are U.S. military veterans or on active military duty. “So they are highly disciplined and highly motivated and they are in places all over the world,” Allee said. In students’ feedback about the program, many of them say online delivery “has been a godsend for them and they express their gratitude profusely,” he added. “My degree gives me an inroad to meet and talk to the right people” to move toward that goal, Naski said. “When Eileen told me ‘I listen to my course lectures while I drive to and from work. It’s like going to class twice, and I can do it while stuck in Houston traffic,’ that was one of the biggest selling points for me,” Garcia said. 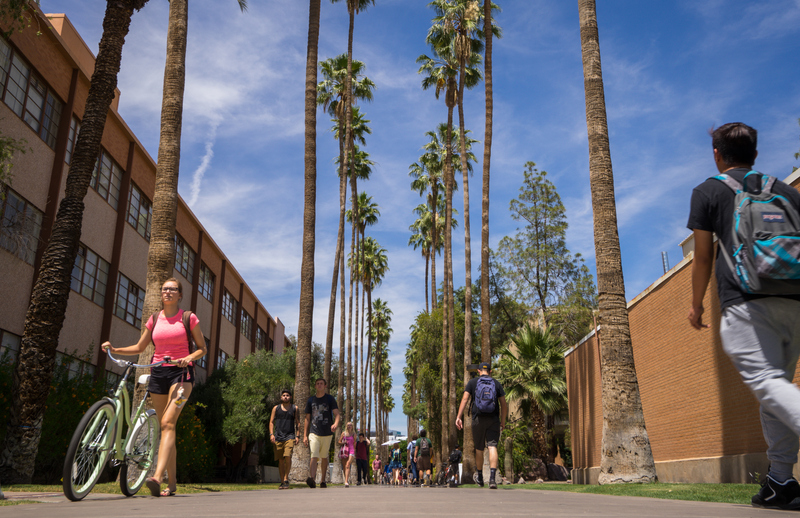 When Arizona State University alumna Lynn Robinson had the chance to give back to her alma mater, her first thought was William Fabricius and the ASU Department of Psychology. While at ASU, Robinson took a developmental psychology class with Fabricius, who is an associate professor of psychology. She recalled one time when she was struggling in the class, so she met with him to ask for help. A meeting like this is routine for a professor but can have a lasting impact on a student. And the meeting with Fabricius stuck with Robinson. Because he supported her when she was a student in that class, she sought him out when she was a senior, and they worked together on a research project about how young children classify objects. Robinson has been donating to the Fabricius lab for seven years, and her employer matches her donation. Since Robinson was a student at ASU, the focus of the Fabricius lab has expanded from studying how young children think and understand the world to also examining the effects of divorce and parenting on children. Fabricius recently used the funds to disseminate his research on the perceptions of Arizona’s child custody law. The law was revised in 2013 based on developmental psychology findings to prioritize equal parenting time when in the best interest of the child. Fabricius collaborated with a family court judge, conciliation court staff director, family law lawyer and a mental health professional who works with families during divorce. Together, they evaluated the perceptions of Arizona’s child custody law among family law professionals and citizens. The donated funds allowed Fabricius and his coauthors to present their work at the 2017 annual meeting for the Association of Family and Conciliation Courts. Robinson said she plans to continue donating because of the impact Fabricius had on her in college and because she believes in the work he is doing.